Published by OpenStax, Calculus is designed for the typical two- or three-semester general calculus course, incorporating innovative features to enhance student learning. The book guides students through the core concepts of calculus and helps them understand how those concepts apply to their lives and the world around them. Due to the comprehensive nature of the material, we are offering the book in three volumes for flexibility and efficiency. Volume 1 covers functions, limits, derivatives, and integration. 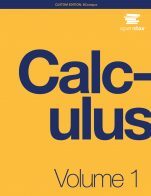 Calculus Volume 1 Cover is copyrighted by Rice University. It is not subject to the Creative Commons license and may not be reproduced without the prior and express written consent of Rice University. Calculus - Volume 1 (OpenStax) by Gilbert Strang, Massachusetts Institute of Technology, Edwin “Jed” Herman, University of Wisconsin-Stevens Point is licensed under a Creative Commons Attribution-NonCommercial-ShareAlike 4.0 International License, except where otherwise noted. The topics in this text are sufficient for a first-term course involving limits, derivatives, and applications of the derivative. The book opens with a review chapter on functions and graphs, which may be helpful for some students. There is an introduction to integral calculus, but not much in terms of integration techniques or differential equations. 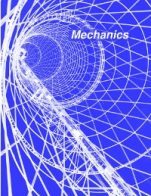 Polar coordinates and parametric equations are not included in this volume. One helpful inclusion in this text is a list of key terms and brief definitions at the end of each chapter. This serves as a good review tool, as well as a point of reference. The index could be more robust. It appears to have been generated automatically. As noted below, there are two separate entries for Rolle's theorem and rolle's [sic] theorem. There are a number of similar duplications, e.g. "differential calculus" and "Differential calculus", "average rate of a function" and "average rate of the function". There are also a few oddities: Euler's number appears in the index under both "number e" (where e is in plaintext) and "number e" (where e is italicised), but not under "e" or "Euler's number". I didn't note any problems. The principles behind calculus haven't changed in years, so there is no danger of concepts becoming irrelevant. However, the applications of calculus, and the way we learn and teach it, change. Students may be using computer algebra systems or web apps to solve problems, so the particular feature recommended by the problem may not be appropriate. (e.g. p. 34 "Use the INTERSECT feature on a graphing calculator"; later, INTERCEPT and INTERSECTION are referred to.) This is minor. A much larger potential problem is the question of how to integrate the role of internet-capable technology in calculus. This text makes a preliminary attempt at such integration by including a few links to third-party web apps that illustrate concepts. It's a nice touch. One feature of an open textbook is the ability to link to other work rather than have to make everything "in-house." As technology and websites change, links can be updated. 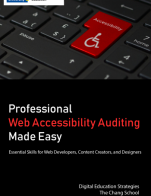 To that end, I'd like to see more from these links: perhaps a brief description of what the applet does, in case the link is removed or the reader can't use the applet (because of Java or accessibility issues). While texts will probably continue to include methods of hand calculation/analysis for many years, it seems odd for an electronic textbook not to feature exercises that take advantage of technology. Why not take advantage of web tools for mathematical analysis for student practice and exercises, not just for illustration of one idea? Language is fairly conversational and accessible. Terms are defined when used, and reviewed at the end of the chapter. This is largely the case. As noted above, there are some problems with the index; identical concepts are sometimes given slightly different names (capital letters changed to lowercase, etc) and then are indexed separately. Chapters and sections in the text are long, but clearly divided into readable subsections. Examples, theorems, and exposition are all clearly distinguished from one another. It is not too difficult to rearrange ordering of topics (within reason, obviously); for instance, the section on limits at infinity and asymptotes could be easily placed in the chapter on limits, rather than with applications of the derivative. The placing of limits at infinity and asymptotes with curve-sketching topics rather than in the chapter on limits seems odd, but will please those taking a visual approach to calculus. Some readers or instructors may prefer a slightly different organisation, but the topics as presented are fine. This is an area where the text could use some improvement. Line spacing is inconsistent throughout. The reason is undoubtedly because of the demands of mathematical notation; however, by making overall line spacing greater, and/or using display-style rather than in-line expressions, the visual flow of the text would be improved. There is a related problem of alignment of question numbers and the questions themselves; in places, the numbers are about half a line above the questions, which is visually distracting. Readability of exercises would be improved if exercise instructions were bolded/highlighted and appeared on the same page as the exercises they apply to. For instance, the instruction for exercises 245-252 (section 3.6) appears on p. 300 even though the exercises are on the reverse, on p. 301. There is also a table preceding said exercises (and necessary for them), but it has no name/number, and its purpose is clear only from the directions on the preceding page. There are minor syntax errors. For instance, on p. 505 (chapter 4 review), "rolle's theorem [sic]" is listed as a "Key Term", with no capitalisation. As a result, in the index, there are separate entries for "Rolle's theorem" and "rolle's theorem". There are missing or inconsistent punctuation marks at times (e.g. no terminal period on question 239 p. 300, which is inconsistent with questions 238 and 240). I did not come across serious syntactical errors in my review. This is not a relevant concern to most of the text. Many examples involve applications of physics, as is common. Others I noticed involve health (modelling blood pressure), environmental science (sea level increase, atmospheric CO2 levels), or economics (cost and revenue models). The cultural knowledge required for applications-type problems is not excessive. For Canadian students, a greater proportion of problems using the metric system rather than Imperial units would be helpful. There are far more problems using feet and miles rather than metres and kilometres. I would very much like to see an update to this text that takes advantage of existing web-based technology (e.g. Desmos, Geogebra) in student exercises. I have yet to see a textbook that takes full advantage of current graphing technology. The text provides comprehensive overview on first-year university/college calculus, including limits, derivatives, and integrals. An index has been provided at the end of the book, and a glossary in the form of review key terms at the end of every chapter is provided. These terms can be brought to the back of the book under glossary is better so that the student doesn’t have to figure out which chapter to look up a particular term and instead, he/she can look up any term in the book. Explanations and examples/solutions appear to be accurate and error-free. There appears to be no bias either. Answers for the practice questions in each chapter are there, but full solutions to the problems would be preferred. Calculus principles are the same regardless of when it is presented, so unless proven false, the content will remain up-to-date. It can be easily updated, as each section for explanations, examples, and questions are distinct and can be separately updated. 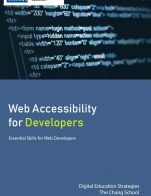 Concise, to-the-point, with technical glossaries at the end of each chapter. Explanations are sometimes written as though an instructor is speaking to the reader. (lots of uses of “we, you” etc. 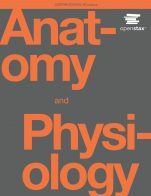 The book is coherent when it comes to the consistency of terminology throughout each chapter. There appears to be no double-meaning of any terminology. For most calculus concepts, there is a section on introducing the concept of the calculus principle, followed by a section with examples or steps on how to apply the principle, then another section showing problems with solutions. yes, the book starts with the basics like functions, graphs, and limits then progresses up to derivatives and their applications and finally integrals and their applications, as derivatives are learned before integrals can be understood. Also, each math principle starts off with an introductory explanation of the concept, followed by steps on how to do it, examples with detailed step-by-step solutions, followed by problems to try out. the chapters appear to be free of such any interface issues. some of the cultural and social references appear to pertain to American geography, e.g. references to places like the San Andreas fault and the Grand Canyon skywalk, so perhaps content that reflects Canadian context may be more relevant for the Canadian learner.